Bulls Sevilla. La Maestranza. 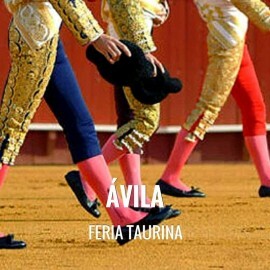 Feria de Abril. Official tickets sales for all bullrings in Ávila. Fast and secure online ordering. Immediate information of all the Bullfighting Festivals. A virtual store with the most powerful technology and design of the sector. Easy navigation, transactions with high security and confidentiality of data. Bullfight tickets to Ávila, all bullfights organized in the Bullring of Ávila. Festivities of Ávila in July 2019. Fast and secure online ordering. Immediate information of all the Bullfighting Festivals. A virtual store with the most powerful technology and design of the sector. Easy navigation, transactions with high security and confidentiality of data.. How to get to Ávila. 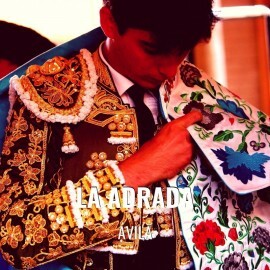 Ávila Festivities in July: (still needs to be confirmed). Request information and advance tickets booking for all bullfighting event: You may book in advance and be the first to purchase tickets to any event at the Ávila Bullring. Servitoro delivery service offers the User the opportunity to acquire the tickets in a safe and easy manner from his/her home address, avoiding long queues before ticket offices. Servitoro offers to non-residents the opportunity to deliver the tickets to hotels, hostels and similar during their stay in Spain and coinciding with the bullfight event (2-4 days before the show). Servitoro, Official Box office of bullfighting tickets sales at Ávila bullring. Bullfight tickets to Arenas de San Pedro, all bullfights organized in the Bullring of Arenas de San Pedro. 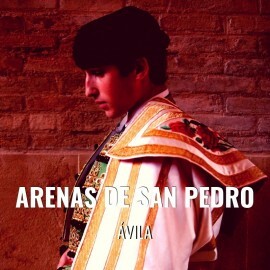 Festivities of Arenas de San Pedro in August 2019. Fast and secure online ordering. Immediate information of all the Bullfighting Festivals. A virtual store with the most powerful technology and design of the sector. Easy navigation, transactions with high security and confidentiality of data. How to get to Arenas de San Pedro from Ávila. Festivities: (still needs to be confirmed). Request information and advance tickets booking for all bullfighting event: You may book in advance and be the first to purchase tickets to any event at the Arenas de San Pedro Bullring. Servitoro delivery service offers the User the opportunity to acquire the tickets in a safe and easy manner from his/her home address, avoiding long queues before ticket offices. Servitoro offers to non-residents the opportunity to deliver the tickets to hotels, hostels and similar during their stay in Spain and coinciding with the bullfight event (4 days before the show). Servitoro, Official Box office of bullfighting tickets sales at Arenas de San Pedro bullring. Bullfight Tickets for all bullfights organized in the Bullring of Candeleda. Festivities of Candeleda in March 2019. Fast and secure online ordering. Immediate information of all the Bullfighting Festivals. A virtual store with the most powerful technology and design of the sector. Easy navigation, transactions with high security and confidentiality of data. How to get to Candeleda from Ávila. 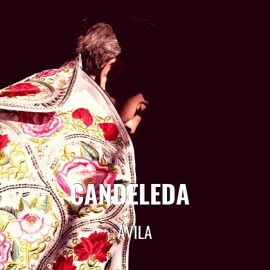 Candeleda Festivities in March: (still needs to be confirmed). Request information and advance tickets booking for all bullfighting event: You may book in advance and be the first to purchase tickets to any event at the Candeleda Bullring. Servitoro delivery service offers the User the opportunity to acquire the tickets in a safe and easy manner from his/her home address, avoiding long queues before ticket offices. Servitoro offers to non-residents the opportunity to deliver the tickets to hotels, hostels and similar during their stay in Spain and coinciding with the bullfight event (2-4 days before the show). Servitoro, Official Box office of bullfighting tickets sales at Candeleda bullring. Bullfight tickets to La Adrada all bullfights organized in the Bullring of La Adrada. Festivities of La Adrada in August 2019. Fast and secure online ordering. Immediate information of all the Bullfighting Festivals. A virtual store with the most powerful technology and design of the sector. Easy navigation, transactions with high security and confidentiality of data.. How to get to La Adrada. La Adrada Festivities in August. (still needs to be confirmed). Request information and advance tickets booking for all bullfighting event: You may book in advance and be the first to purchase tickets to any event at the La Adrada Bullring. Servitoro delivery service offers the User the opportunity to acquire the tickets in a safe and easy manner from his/her home address, avoiding long queues before ticket offices. Servitoro offers to non-residents the opportunity to deliver the tickets to hotels, hostels and similar during their stay in Spain and coinciding with the bullfight event (2-4 days before the show). Servitoro, Official Box office of bullfighting tickets sales at La Adrada bullring.